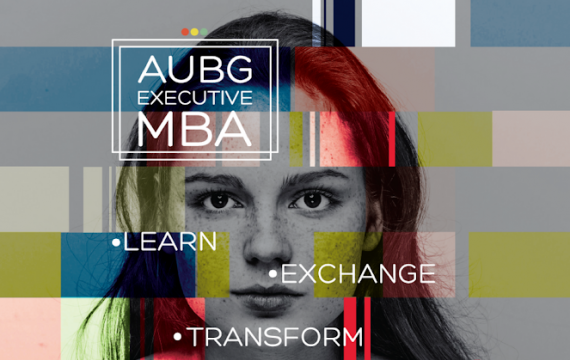 Starting 2019, AUBG will offer three types of partial scholarships for its Executive MBA program in Sofia-- the International Student Scholarships, the Scholarships for NGO Professionals and the Rising Star Scholarship. The International Student Scholarships are open to professionals from Albania, Kosovo, Macedonia, Serbia or Romania. Preference will be given to applicants who currently live in their home countries but international applicants residing in Bulgaria will also be considered. The Scholarships for NGO Professionals are open to applicants who are a part of a non-government organization and are committed to bringing positive change in society. The Rising Star Scholarship will be awarded to a professional at the start of their career who has demonstrated outstanding potential in their field of work. The deadline to apply for all scholarships is June 30, 2019. 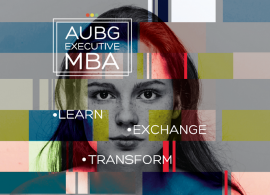 AUBG's Executive MBA, the first executive MBA program in Bulgaria, is highly selective and has successfully educated the business leaders of the country for more than a decade. The program is recognized worldwide for its practical curriculum that provides up-to-date skills for high performance in a complex global business environment. Interested applicants are encouraged to send their application documents to execed@aubg.edu by June 30, 2019, to ensure early review for the scholarship.